Calgary, Alta. 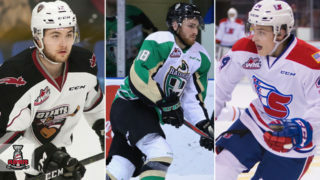 – The Western Hockey League announced today that Ian Scott of the Prince Albert Raiders has been named the WHL Eli Wilson Goaltending Goaltender of the Week and league nominee for the Vaughn CHL Goaltender of the Week for the week ending November 18, 2018. Scott scored his first career WHL goal while posting a 3-0-0-0 record and a 0.33 goals-against-average. Scott also stopped 92 of 93 shots for a 0.989 save percentage and recorded two shutouts as the CHL’s top-ranked Raiders extended their winning streak to 13 games. Wednesday, Scott stopped all 43 shots in a 2-0 shutout of the visiting Medicine Hat Tigers at the Art Hauser Centre. Scott stopped 12 shots in the first period, 12 in the second, and 19 in the third for his third shutout of the season. Also denying the Tigers on all four power-play opportunities, Scott was named the first star of the game and the first star of the night in the WHL. 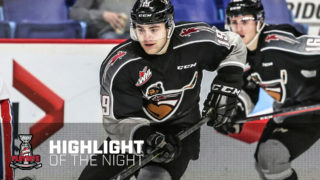 Friday, Scott scored the first goal of his WHL career as he contributed an empty-net goal in a 3-1 victory against the Tri-City Americans. 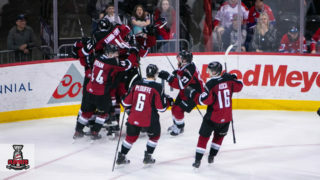 Scott became the first WHL goaltender to accomplish the feat since Stuart Skinner scored an empty-net goal on March 18, 2016 against the Red Deer Rebels. Scott also stopped 23 of 24 shots in the game, once again earning honours as the first star of the game and first star of the night in the league. 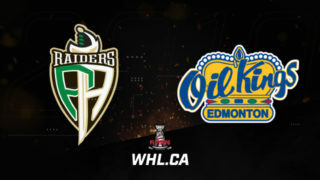 Scott closed out his impressive week Saturday with a 26-save shutout against the Brandon Wheat Kings as part of a 6-0 win for the Raiders in their first trip of the year to Manitoba. Scott denied the Wheat Kings on all five of their power-play opportunities, leaving his opponents 0/14 through three games this week. Through 18 games this season, the 6-foot-3, 183-pound product of Calgary, Alta. 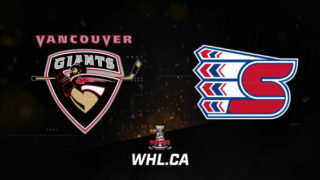 has posted a 17-1-0-0 record, 1.39 GAA, 0.950 SV%, and four shutouts as the Raiders enjoy a seven-point lead atop the WHL’s overall standings. 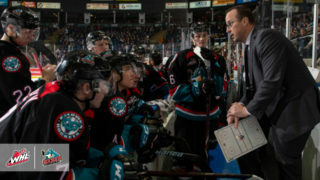 Scott presently leads the WHL in wins, GAA, SV%, and shutouts. Originally the ninth-overall selection from the 2014 WHL Bantam Draft, Scott has appeared in 144 WHL regular season games, posting a 66-57-8-3 record, 3.09 GAA, 0.902 SV%, and seven shutouts. Scott made his professional hockey debut with the American Hockey League’s Toronto Marlies on April 15, 2018, stopping 30 shots for the victory. He stayed with the team as they won the 2018 Calder Cup. The Raiders are back in action Tuesday, November 20 (7:00 p.m. CT) as they play host to the Lethbridge Hurricanes at the Art Hauser Centre.